Why are Democrats struggling? The economy is weaker than some topline numbers suggest. The U.S. economy has posted its strongest six months of growth since 2003, news that usually would be a boon to the party in power heading into congressional elections. Yet President Barack Obama and Democrats haven’t been able to take credit for the gains. On Election Day, they’re at risk of losing control of the Senate, though it is the Republicans who have blocked measures aimed at strengthening growth. That’s because Americans say they don’t feel the progress in their daily lives and they blame both parties for the political deadlock in Washington. The U.S. government’s failure to address the economy’s main weakness -- stagnant middle-class earnings -- damages Democrats the most. Economists often define middle-class households as those with annual incomes between the 20th and 80th percentiles, which in 2012 was between $20,600 and $104,000, according to theCongressional Research Service. The working class is defined as wage earners, particularly those who make a living through manual labor. National polls generally look bad for the Democrats. Republicans continue to hold a lead in the national Congressional ballot test: 47 percent of likely voters say they will support the Republican candidate in their district, while 40 percent support the Democrat. About nine in ten Republicans, and a similar percentage of Democrats, say they support their party's candidate for the House of Representatives. Independents are supporting the Republican candidate. Thirty-two percent of voters are paying a lot of attention to the campaign, a figure that has steadily risen since September, and is similar to the percentage who said the same four years ago. Four in ten voters say they are more enthusiastic about voting this year compared to past elections. Forty-seven percent say they are less enthusiastic, up 13 points from the 34 percent who said that in October 2010. Republican voters (48 percent) are more likely than Democratic voters (42 percent) to say they are more enthusiastic. Voters continue to choose the economy (38 percent) as the most important issue in their vote for Congress this year, followed by health care (23 percent and terrorism (11 percent). Americans' party preferences during the third quarter of a midterm election year give a good indication of which party will perform better in that year's election. Democrats' narrow two-percentage-point advantage in party affiliation this year -- 45% to 43% -- shares a greater similarity with strong Republican midterm years, such as 1994, 2002 and 2010, than with the advantage held in better Democratic years like 1998 and 2006. Democrats typically hold an advantage in party affiliation among the national adult population -- Republicans have held a slight numerical advantage in only three years since 1993. But since Republicans and Republican leaners typically vote at higher rates than Democrats and Democratic-leaning independents, the voting electorate will usually be much less Democratic than the larger adult population. Thus, if Democrats start out with only a slim advantage among all adults, the voting electorate may very well end up being more Republican than Democratic. After more than a year of inaction by Congress and President Obama on immigration reform, Democrats maintain a wide, but diminished, advantage among Hispanic registered voters, according to a new nationwide survey of 1,520 Hispanic adults, including 733 registered voters, by the Pew Research Center. The survey also finds that for about half of Hispanic registered voters (54%), a candidate’s position on immigration is not a deal-breaker in determining their vote if that candidate shares their views on most other issues. Overall, 57% of Latino registered voters support the Democratic candidate in their congressional district or lean Democratic, while 28% favor the Republican candidate or lean Republican, a greater than two-to-one advantage for Democrats. 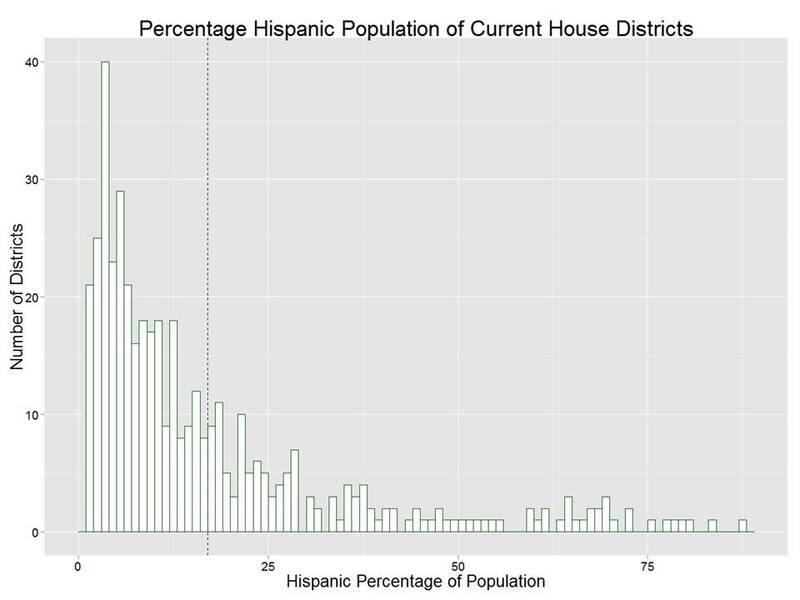 But support for congressional Democrats is down from 2010, when 65% of Latino registered voters backed the Democrat in their congressional district and 22% favored the Republican candidate (Lopez, 2010). The survey reveals in other ways that Latino registered voters are somewhat less supportive of the Democratic Party now than in recent years. On political party identification, 63% today say they identify with or lean toward the Democratic Party, down from 70% who said the same in 2012. And when asked which political party has more concern for Latinos, 50% say the Democrats, down from 61% who said the same in 2012. Meanwhile, Republicans have made some progress among Hispanic voters. About one-quarter (27%) today say they identify with or lean toward the Republican Party. In 2012, 22% said the same. As it has in New Hampshire and Arkansas, Crossroads GPS is running a "spelling bee" ad against Kay Hagan in North Carolina. Hagan is spelled O-B-A-M-A. Edwards crudely framed the state of play in the South as a matter of race, sexual orientation, and class; in other words, culture. Said Edwards, according to the Financial Times, “Some people view the Democratic Party as strictly for gays and blacks and non-productive people,” not exactly the thing that the party faithful want to be reading as Election Day nears. The Democrats’ challenge of retaining the Senate is compounded by a midterm electorate that is generally more rural, white, married, and churchgoing than in presidential years. For example, in 2012 less than three-quarters of voters were white. In contrast, in the 2010 midterms, that figure was 77 percent, five points higher. As Woody Allen said, 80 percent of life is about showing up. A recent Pew Poll graphically likewise portrays the stark national divide, and the granular differences are gaping. Republicans hold an 18-point lead among non-Latino whites, while Democrats are ahead by 62 percent among minorities. Pew also gives the GOP a whopping 68 points lead among white evangelicals, but shows Republicans lagging by more than 30 percent among the religiously non-affiliated. "We need a better government – a more competent government – a government that upholds the values we hold in common as Americans." The Ebola crisis has underscored what many of Obama’s critics—including those in his party—have been saying with increasing urgency in recent months, that the White House’s approach to national security does not instill confidence and seems more questionable than ever in the face of the muscular new challenges on the scene. Tongues wagged in Washington after David Ignatius, who is generally simpatico with Obama’s restrained foreign policy, called gently in an Oct. 7 Washington Post column for “new blood” on the president’s national-security team. But others are less gentle with their criticism. “It’s a pathetically weak team,” says one retired general who was in a senior command position, and who faults Hagel as much as Rice for some of the problems. Democrats weren't exactly singing hallelujahs on Sunday. With a little more than a week before Election Day, new polling of key Senate races showed that if anything, momentum in the midterm election may be tilting—however slightly—toward Republicans. A joint survey by NBC and Marist College gave GOP candidates an edge in five battleground contests—Colorado, Iowa, Kansas, Arkansas and North Carolina—though all of the races were within the margins of error. South Dakota, a contest Democrats hoped was in play, appears far out of reach. The NBC/Marist College results were released the same day YouGov made public its most fourth and final survey with CBS and the New York Times, also showing signs of a comeback for Senator Pat Roberts in Kansas. The Republican incumbent is now polling ahead of independent candidate Greg Orman, who became the unexpected favorite in that race after Democrats were allowed to drop their candidate from the ballot. A week earlier, Republicans had held a narrower, 5-point lead on the question in the Journal/NBC/Annenberg survey. By historical measures, an 11-point lead on the question of which party should control Congress is large. Republicans held a seven-point lead on the question at this point in the 2010 election in a Journal/NBC survey, which used a different method to determine which voters were most likely to cast ballots. Republicans went on that year to make big gains in the Senate and to retake the majority in the House. In the new survey, Republicans also led on the “congressional control” question among registered voters, a broader group than likely voters, with 46% favoring GOP leadership and 42% favoring Democratic control. The GOP lead had been two percentage points a week earlier. “The GOP appears to be solidifying its lead,” said Mr. Hart. Since 2010, the number of Hispanic eligible voters has increased by 3.9 million. Their share among eligible voters nationally is also on the rise, up from 10.1% in 2010 and 8.6% in 2006 (Lopez, 2011), reflecting the relatively faster growth of the Hispanic electorate compared with other groups. Yet in the eight states with close Senate races,2 just 4.7% of eligible voters on average are Latinos. Among those states, Latinos make up less than 5% of eligible voters in six. Only in Colorado does the 14.2% Latino share among eligible voters exceed the 10.7% national average. Kansas is the only other state where the Latino share among eligible voters exceeds 5%.3 As a result, the impact of Latino voters in determining which party controls the U.S. Senate may not be as large as might be expected given their growing electoral and demographic presence nationwide. In other 2014 Senate races—none of which are competitive—Latinos make up more than 10% of eligible voters in just three: New Mexico, where Latinos make up 40.1% of eligible voters; Texas, where 27.4% of eligible voters are Latino; and New Jersey, where Latinos make up 12.8% of eligible voters. Eligible voters are U.S. citizen adults. Not all eligible voters are registered to vote, or turn out to vote in an election. Nonetheless, the number of Hispanic eligible voters and their share among a state’s eligible voters provides insight into the potential impact of the Hispanic vote. So far that impact has been muted by the fact that Hispanic voter turnout rates in midterm elections and presidential elections have lagged other racial and ethnic groups (Krogstad, 2014). For example, in 2010, while 31.2% of Hispanic eligible voters voted, 48.6% of white and 44.0% of black eligible voters turned out on Election Day. Robert Samuelsohn writes at Politico that the GOP does not have enough tech experts to go around in a multicandidate presidential primary campaign. What the aspiring GOP candidates will need to mount a modern-day tech race are campaign veterans with a wide range of seasoned digital skill sets — for fighting TV admen over budgets, writing fundraising email copy that doesn’t go straight to the trash bin and in using data the right way to find potential donors and voters. But that kind of tech savvy doesn’t just get made in a Harvard dorm room. It comes from live-fire experience in the latest election cycles. So while Democrats contemplate a small field where much of President Barack Obama’s vaunted campaign tech capacity transfers to Hillary Clinton, the GOP is facing a different dilemma. The tech experts it does have are likely to be scattered into a dozen or more campaigns. His mission has not been to re-invent the digital campaign—the Democrats have been doing it well for several cycles now—so much as to drag his side, the Republican side, into the future. Much like what has happened in journalism and other businesses, the digital campaign is becoming the backbone of every element of the operation, a tail that wags the dog. In the case of McConnell—a marquee example that Harris hopes will serve as a new model—he junked the senator’s old database software and replaced it with a new system of managing lists of potential voters, donors, and volunteers. He’s created new methods for keeping track of how well or badly voters have responded to phone calls, e-mails, and mailers. And he’s got a 24/7 social media operation—the 2014 answer to the war room. Could control of the Senate in 2014 be decided by illegal votes cast by non-citizens? Some argue that incidents of voting by non-citizens are so rare as to be inconsequential, with efforts to block fraud a screen for an agenda to prevent poor and minority voters from exercising the franchise, while others define such incidents as a threat to democracy itself. Both sides depend more heavily on anecdotes than data. In a forthcoming article in the journal Electoral Studies, we bring real data from big social science survey datasets to bear on the question of whether, to what extent, and for whom non-citizens vote in U.S. elections. Most non-citizens do not register, let alone vote. But enough do that their participation can change the outcome of close races. California Governor Jerry Brown has cut a radio ad saying that State Senate candidate Jose Solorio was "one of my closest allies." It's been a rough 2014 for Jose Solorio, the current Rancho Santiago Community College District trustee who made his name as a former SanTana councilmember, a state assemblymember, and the best political mustache since William Howard Taft. The bigote is gone, replaced by an upper lip that's far too sweaty for comfort. Solorio's campaign is facing a brutal attack by opponent (and current OC supervisor) Janet Nguyen. And even when Solorio gets a heavyweight in his corner, like he recently did when California governor Jerry Brown recorded some radio ads for him (currently airing on a loop on KFI-Am 640), the heavyweight goes Glass Joe on him in his effort. How bad? Brown couldn't even be bothered to pronounce Solorio's last name right for the ad, pronouncing it So-LAY-rio instead of the proper So-LOH-rio. 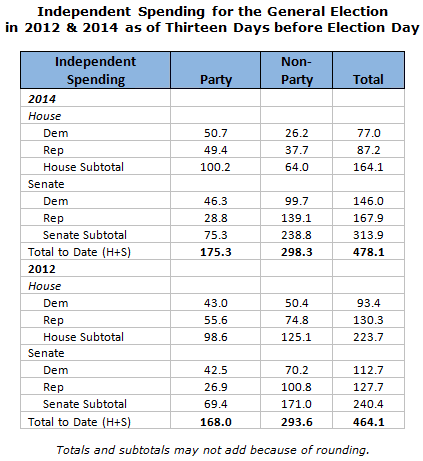 Independent spending has shifted into high gear during the closing weeks of the 2014 midterm congressional elections. 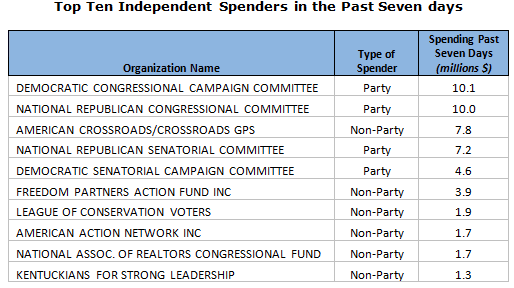 Non-party organizations have spent nearly twice as much as formal party committees in reportable independent spending as of thirteen days before Election Day. This repeats the party/non-party balance of 2012, the first full election cycle after the Supreme Court’s decision in Citizens United. Though the totals have not changed much since 2012, the balance between House and Senate has shifted markedly. Roughly half of the money that non-party organizations spent on House races in 2012 has now moved toward the Senate. And among Senate Republicans, non-party committees so far have spent nearly five times as much as the National Republican Senatorial Committee (NRSC). 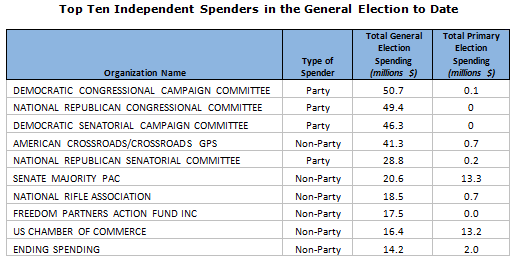 American Crossroads and the allied Crossroads GPS stand out among non-party groups in 2014 general election expenditures. In addition to spending the most among non-party organizations, the Crossroads organizations by themselves have surpassed the NRSC in general election independent spending. On the other side of the aisle, it should be noted that the Senate Majority PAC’s primary election spending was almost entirely the functional equivalent of general election spending. While the non-party organizations have spent more than the parties so far, the parties should be expected to close the gap at least partly during the campaign’s closing days. Over the past seven days, the party committees were four of the top five spenders. In addition, it should be remembered that parties may be able to buy more than non-party groups with the same amount of money, since the parties typically reserve their advertising time earlier. In House races, the Crossroads groups are linking Democrats to Obama and Obamacare. In New Jersey 3, Crossroads GPS focuses on Aimee Belgard's local record, but works in a reference to her support for Obamacare. Republican gubernatorial candidate Neel Kashkari, who stirred controversy with an ad depicting a drowning boy, returned to the teacher-tenure issue to pound Gov. Jerry Brown in a new TV ad that debuted Tuesday. The 60-second spot signals the former Treasury Department official’s determination to make the recent Vergara v. California court decision central to the governor’s race. A Los Angeles County judge found that the state’s teacher tenure rules made it nearly impossible for districts to fire incompetent instructors, and therefore deprived poorer children of their equal right under the Constitution to a quality education. Kashkari has seized on the Brown administration’s appeal of the ruling to criticize the governor for “betraying” schoolchildren. Midterms are usually bad for the party holding the presidency. Most incumbents will win reelection. Labor force participation is way down. Unemployment, poverty, inequality, business climate are all bad. Turnout in the primary was just 25% of registered voters, 18% of eligible adults. My guess for November is about 45% of registered, 33% of eligible. A couple weeks ago, President Obama declared that, while he wasn't on the Nov. 4 ballot, his policies were. And just about every GOP candidate in a red or swing state soon launched an ad using that comment to tie his or her Democratic opponent to Obama. Well, Obama appears to have just handed Republicans some more ammunition. In an interview with Rev. Al Sharpton on Monday, Obama defended his support for candidates in top races who haven't welcomed Obama to campaign with them. "The bottom line is, though, these are are all folks who vote with me; they have supported my agenda in Congress," Obama said. That approach is just fine with the Crossroads groups. Crossroads GPS uses the"my policies" quotation and says that Kay Hagan votes with the president 95 percent of the time. In Alaska, American Crossroads points out that Mark Begich voted with POTUS 97 percent of the time. And in New Hampshire, it re-purposes an earlier attack on Pryor to say that "Shaheen" spells "Obama." In a POLITICO poll testing the hardest-fought states and congressional districts of the year, two-thirds of likely voters said they feel that the United States has lost control of its major challenges. Only 36 percent said the country is “in a good position to meet its economic and national security” hurdles. - Presidential management: Voters in the midterm battleground states are evenly split on whether President Barack Obama or George W. Bush was more effective at managing the federal government. Thirty-eighty percent named Bush, while 35 percent preferred Obama. A quarter of respondents said the two men were equally competent. - Ebola: Only 22 percent of respondents said they had a lot of confidence that the government is doing everything it can to contain the contagious disease. Thirty-nine percent they had some confidence, while a third said they had little or no confidence. The poll concluded Oct. 11, before the hospitalization of the second nurse who treated an Ebola patient in Dallas. The confidential memo from a former pollster for President Obama contained a blunt warning for Democrats. Written this month with an eye toward Election Day, it predicted “crushing Democratic losses across the country” if the party did not do more to get black voters to the polls. Now, Democrats are deploying other prominent black elected officials and other surrogates, buttressed by sophisticated voter targeting efforts, to stoke black turnout. At the White House, the president is waging an under-the-radar campaign, recording video advertisements, radio interviews and telephone calls specifically targeting his loyal African-American base. “Anybody who looks at the data realizes that if the black vote, and the brown vote, doesn’t turn out, we can’t win. It’s just that simple,” said Representative Marcia L. Fudge of Ohio, the chairwoman of the Congressional Black Caucus, referring to African-American and Latino voters. “If we don’t turn out, we cannot hold the Senate. African American voter turnout tends to decline in midterms elections, usually at the expense of Democratic candidates who routinely garner more than 80% of their vote. In the last few presidential elections the percentage of blacks that vote has been very close to that of whites, according to the Census Current Population Survey. It even surpassed the white vote in 2012, according to that data. 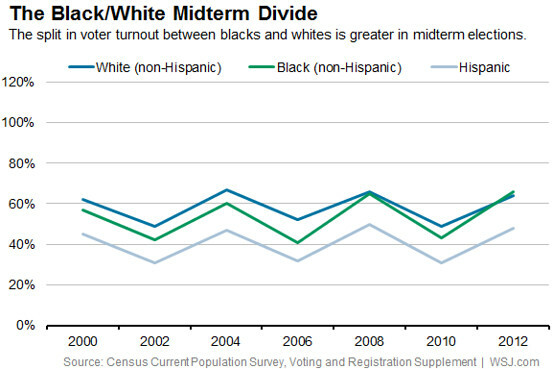 In midterms, the percentage of people who declines across all races, but the drops are deeper among African Americans. The likely electorate is more polarized than the public. ... Although overall turnout among the public is likely to be around 40%, 73% of those who hold consistently conservative attitudes are likely to vote in the midterm, as are 52% of those with mostly conservative views. As other surveys have found, voters on the left are less politically engaged in this election: 58% of those with consistently liberal views and just 32% of those with mostly liberal attitudes are likely to turn out. And among those with about an equal mix of conservative and liberal attitudes, just 25% are likely to go to the polls. Hostility toward the opposing party is a key marker of polarization and a strong motivator for voting, especially among Republicans. Both Republicans and Democrats have long held negative views of the opposite party. But the level of partisan hostility has grown dramatically in the past 20 years. The new panel survey finds a strong link between having a highly negative reaction to the opposing party and likelihood of turning out to vote, particularly among Republicans. Who voted in the primaries? Highest reported rate: consistent conservatives. Primaries often hold the key to the general election, in that they determine the choices available to voters. Is there polarization there? Absolutely. We find that 64% of consistent conservatives reported voting in a primary election this year, compared with 49% of consistent liberals. The self-reported turnout numbers are lower among those with ‘mostly’ conservative or liberal views, though the pattern of higher turnout on the right remains, with 46 percent of ‘mostly conservative’ voters having cast a primary ballot and 30 percent of ‘mostly liberal’ voters. Presidential Popularity: When presidents are unpopular, their parties typically lose seats. With President Obama’s approval rating in dismal territory, it’s doubtful this election will be an exception. In the most recent ABC/Post poll, the president’s 40 percent approval rating is the lowest of his career. In early October 2010, his approval rating was at 50 percent, and the Democrats lost more than 60 seats in the House. Bill Clinton’s approval rating in his sixth year was 60 percent, and his party gained seats. The president isn’t on the ballot, of course, and most people say he won’t be a factor in their vote. But of the remainder, more people in recent polls say their vote will be to express opposition to him than say it will be to express support. The Mood: It’s not new news that Americans are deeply dissatisfied with the way things are going in the country. But the mood seems particularly sour. In Fox’s latest poll, 58 percent of registered voters say that “Things are going to hell in a hand basket.” Only 35 percent feel that “Everything will be alright.” One measure of discontent is the familiar right direction/wrong track question first asked by the Roper Organization in 1973. In the new NBC News/Wall Street Journal poll, just 25 percent of registered voters say things in the nation are generally headed in the right direction, while 65 percent say things are off on the wrong track. In mid-October 2010, registered voters were slightly more optimistic. Thirty-two percent gave the right track response, and the Democrats still had huge losses. In his analysis for the ABC/Post poll, Gary Langer notes that approval ratings and views that the country is on the right track correlate highly with midterm gains and losses. This is bad news for Democrats. It’s Still the Economy: Gallup reported earlier this summer that although public confidence in the economy was improving slightly, the public “still shows greater concern over it than in prior midterm elections.” In recent polls, most people say that the economy will be the top issue for them personally in this election. The ABC/Post poll reports that 22 percent of Americans say their finances have become better since Obama became president, 30 percent say worse, and 46 percent say they have stayed about the same. Even more ominous, only 16 percent of Americans think the standard of living in the country has been getting better, while 57 percent say it has been getting worse. Nicholas Confessore reports at The New York Times that GOP Senate candidates and related groups have overcome the Democratic fundraising lead. All told, in seven races for which both Democrats and Republicans provided complete fund-raising totals by Wednesday evening — Alaska, Arkansas, Colorado, Kentucky, Louisiana, Michigan and North Carolina — Republicans held more cash in six of them, with a net advantage of about $7 million. At the same time, Democrats had booked more advertising from Sept. 29 through Election Day in at least five of those races, with the biggest advantages in North Carolina and Iowa, according to a Republican tracking media purchases. In Alaska, Arkansas, Colorado, Georgia and Iowa, Republican contenders posted their best fund-raising quarter of the year. In Iowa, the Republican candidate, Joni Ernst, who narrowly leads in polling, raised $6 million, more than double the amount taken in by her Democratic opponent, Representative Bruce Braley, and reported three times as much in cash on hand than Mr. Braley. Representative Tom Cotton of Arkansas reported raising $3.8 million, far more than the Democratic incumbent, Senator Mark Pryor, who took in $2.2 million. In Colorado, Representative Cory Gardner raised $4.5 million and reported $1.4 million more in cash on hand than Senator Mark Udall, the Democratic incumbent. American Crossroads, the super PAC founded by Karl Rove, raised $11 million, making September its best month yet in this campaign cycle. An affiliated political nonprofit, Crossroads Grassroots Policy Strategies, which does not disclose its donors, also received substantial new donations in September, an official confirmed. The group has purchased about $26 million in advertising for the last five weeks of the campaign, including new spending in Colorado and Iowa, and the group’s first advertising in the Senate race in New Hampshire. Barack Obama and his political party are heading into the midterm elections in trouble. The president’s 40 percent job approval rating in a new ABC News/Washington Post poll is the lowest of his career – and the Democratic Party’s popularity is its weakest in polling back 30 years, with more than half of Americans seeing the party unfavorably for the first time. The Republican Party is even more unpopular. But benefitting from their supporters’ greater likelihood of voting, GOP candidates nonetheless hold a 50-43 percent lead among likely voters for U.S. House seats in the Nov. 4 election. See PDF with full results, charts and tables here. 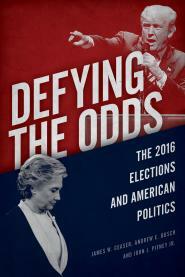 These and other results are informed by an array of public concerns on issues from the economy to international terrorism to the Ebola virus, crashing into a long-running crisis of confidence in the nation’s political leadership. Almost two-thirds say the country is headed seriously off on the wrong track. Even more, three-quarters, are dissatisfied with the way the political system is working. With a new TV ad that depicts a drowning boy, Republican gubernatorial candidate Neel Kashkari aims to make the case that Gov. Jerry Brown has “betrayed” California children. The 30-second spot, called “Betrayal,” will start airing Tuesday in every media market in the state. It shows a young boy drowning in a swimming pool. “When kids in failing schools begged Jerry Brown to save them, he betrayed them,” says the caption in the spot, as the child struggles underwater. Kashkari’s ad is playing off the recent Vergara v. California court decision, in which a Los Angeles judge found that the state’s system of teacher tenure violates the constitutional rights of children in poorer school districts by making it all but impossible to fire incompetent instructors. In Kansas, American Crossroads is running an ad depicting independent Senate candidate Greg Orman as an Obama-supporting puzzle. Crossroads GPS is running a similar ad against Alison Lundergan Grimes in Kentucky. State Sen. Wendy Davis touched off a political firestorm Friday with a 30-second TV ad that features an empty wheelchair and slams Texas Attorney General Greg Abbott for working against disabled people despite winning a settlement after he was disabled himself. “Wendy Davis is running one of the nastiest campaign ads you’ll ever see,” The Washington Post blared. A “historic low” is how the attack ad was described by the Abbott campaign, which saw fellow Republicans rally to his side and issue demands that she pull down the ad. Even liberal Mother Jones magazine unloaded on Davis, a Democrat. Californians Against Higher Health Care Costs is running this ad against California's Proposition 45. It may not exactly come as a shock to California voters that the male small business owner is actually an actor. Efrain Figueroa has a long career as a character actor, perhaps most memorably in his recurring role in The Shield as the sleazy power broker Jorge Machado. Crossroads GPS goes after Mark Udall and Mary Landrieu as Washington insiders who back Obama and Obamacare. Crossroads GPS will air a new ad Wednesday, turning an attack Sen. Kay Hagan, D-N.C., used in her 2008 election campaign against her. The ad, provided first to CQ Roll Call, uses footage of Hagan attacking now-former Sen. Elizabeth Dole, R-N.C.
“Voting 92 percent of the time with the president, whether you support him or not, doesn’t work here in North Carolina,” Hagan says in the old footage. “So Sen. Hagan, why do you vote with Obama 95 percent of the time?” asks a male narrator. Neel Kashkari, the long-shot Republican candidate for governor, is looking for a few good ads. Apparently inspired by Frito-Lay’s “Crash the Super Bowl” consumer advertising contests, Kashkari, holding a bag of Doritos and addressing the camera in an online video Wednesday, said he will give a $25,000 scholarship to the college student who cuts him the best ad. In North Carolina, Crossroads GPS attacks Kay Hagan for her "partisan" support of Obamacare. Senator Paul has used that Lincoln line on Twitter, on Facebook, in The Washington Times, and in many other venues. One problem: Lincoln never said that. It seems to have started in a 1909 book by Allen Thorndike Rice. If you read the book (p. 427), you see that the line is an observation about Lincoln, not a quotation of Lincoln. Somewhere along the line, a sloppy researcher apparently mixed up the two things. And a sloppy Rand Paul ghostwriter did not bother to check. With the battle for the Senate tilting toward Republicans and President Obama’s approval ratings hovering near his all-time low, Democrats are more reliant than they have ever been on the very kind of big-money groups they have spent years trying to outlaw. They are countering the Republican Party’s expansive and formidable outside spending network this fall with a smaller but more tightly knit alliance of groups that share donors, closely coordinate their advertising and hit harder than their conservative counterparts. To hold the Senate, the Democratic outside spending network is working hand in hand with — and is funded by — the party’s traditional ideological allies, including abortion rights organizations, environmentalists and labor unions. They have overlapping board memberships, use the same voter data and even share advertising content. Most of their on-air money is being spent through a small cluster of “super PACs,” which can explicitly advocate the election or defeat of specific candidates. While Republicans have spent more over all on advertising during the midterm campaign, their cash has been spread among a larger array of groups. Many of them are newer organizations established or expanded by the Koch network this cycle. Others sprang up to cater to donors angry at the poor performance of Crossroads and other consultant-run groups in 2012.
there is a big difference between this and the Kochs and their ilk. Our donors are using the current political system to bring about laws and policies that would change that system in a way that gives their wealth less weight. Not to mention advocating policies that would often tax or regulate them more. In contrast, political spending by the Kochs and their allies is in effect a business expense — it coincides with and advances their bottom line financial interests. There’s a moral distinction here. You’re not in this room today trying to figure out how to rig the game so you can be free to make money poisoning little kids. Subscribing to a false moral equivalence is giving the Kochs exactly what they want: keeping us quiet about what they’re doing to destroy the very fabric of our nation. Brock and LaMarche’s argument is politically risky. Claiming the moral high ground to assert that you can do something that your morally crippled adversaries cannot is one of the more effective strategies to alienate people. Now, the Supreme Court may decide for or against a new way to challenge partisan gerrymandering. Yesterday, the Justices added to their docket for decision in the new term a major constitutional dispute from Arizona. It focuses on whether the primary task of redistricting a state’s seats in the U.S. House of Representatives can be taken away from the legislature, and handed to a non-partisan commission. Arizona’s voters did that 14 years ago, passing “Proposition 106” that amended the state constitution to set up a five-member Independent Redistricting Commission. The legislature is not cut totally out of the process; its leaders get to choose, between the two major parties, four of the members, and the members then choose the fifth, as chairman. But the commissioners can be chosen only from a list that a neutral state appointing agency provides. The legislature can send some ideas to the commission about district lines, but the commission has no duty to accept them. Two provisions of federal law – the Elections Clause in Article I, and a federal statute that says the drawing of district lines for elections to the House must be done “in the manner provided by [state] law” – are involved. The Elections Clause gives the legislature in a state the power to designate the “times, places and manners” of electing House members. The statute seems to leave it to the state to decide “the manner” of redistricting. In a lawsuit challenging the 2012 maps drawn by the independent Arizona commission, the state legislature insisted that only it qualifies as “the legislature” and thus the redistricting task belongs to it, constitutionally and according to the federal law. A federal District Court rejected that argument, saying the Supreme Court had long ago ruled that the concept of a “legislature” can be broader than the elected members of the official legislative body. The legislature took the case on to the Supreme Court, asking the single question of whether taking away its redistricting powers violates the Elections Clause. On Thursday, the Justices granted review, of both that question and the separate question of whether the federal law on the subject protects the legislature’s primary role. The court, however, gave itself the opportunity of bringing the case to an end without deciding either of those legal questions. It said it wanted the lawyers to debate whether the legislature had a legal right to file its lawsuit, and whether the Supreme Court has the authority to decide it. Conservative sister organizations American Crossroads and Crossroads GPS have raised a total of $100 million to spend on the November election, according to a spokesman, news that comes as pro-Republican forces are starting to show new momentum as the 2014 election heads into the final crucial month. Of the nearly $25 million American Crossroads, the super PAC arm, has raised for the 2014 election, $11 million was collected in September alone, said Paul Lindsay, a spokesman for the groups. Its sister organization, Crossroads GPS, has raised $75 million. Mr. Lindsay didn’t disclose how much of that amount was raised in the last month, and the group’s 501(c)(4) nonprofit status means it is not required to publicly disclose details about its fundraising until the end of the year. President Obama was at Northwestern University on Thursday to deliver an economic speech that, he and his team hoped, would lay out the case forwhy the public is better off today than they were six years ago -- even if they didn't feel it in their everday lives. Instead, Obama just gave every Republican ad-maker in the country more fodder for negative ads linking Democratic candidates to him. Here are the four sentences that will draw all of the attention (they come more than two thirds of the way through the speech): "I am not on the ballot this fall. Michelle’s pretty happy about that. But make no mistake: these policies are on the ballot. Every single one of them." Boil those four sentences down even further and here's what you are left with: "Make no mistake: these policies are on the ballot. Every single one of them." You can imagine Sen. Mark Pryor of Arkansas or Sen. Kay Hagan in North Carolina or Alison Lundergan Grimes in Kentucky grimacing when they heard those 28 words. That trio has spent much of the campaign insisting that this election is NOT about Barack Obama, that it is instead about a choice between themselves and their opponents. “Make no mistake: these policies are on the ballot, every single one of them,” said President Barack Obama Thursday, in reference to his unpopular policies, including ObamaCare.